Walking SA encourages more children to walk to school. Way2Go is a state-wide South Australian program promoting safer, greener and more active travel for primary school students and their communities. It uses a whole school approach built on a partnership between local councils, school communities, parents and the Department of Planning, Transport and Infrastructure. Way2Go encourages children and the community to safely walk, cycle or scoot, and use public transport for personal travel; it supports students to be safe walkers, bike riders and passengers; it promotes the development of safe, people friendly local streets near schools to support independent personal travel. parents driving to the school gate for drop-off and pick-ups add to the congestion on the road, as well as reducing the safety outside of the school for children who walk. Policies and programs aimed at increasing active travel to school should be directed at changing parental behaviour as well as changing the physical, policy/regulatory, and social/cultural environments that shape parents’ and children’s travel behaviour. i Ridgewell C et al 2009. 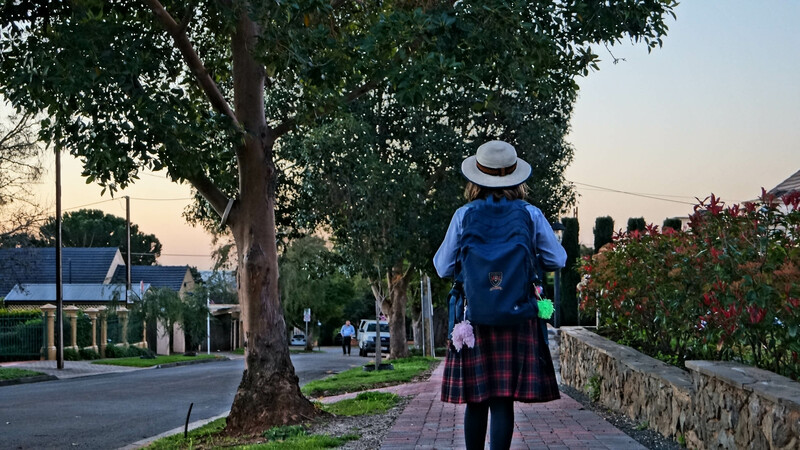 School travel modes: Factors influencing parental choice in four Brisbane schools. ii Lindberg R, 2016. Getting Australia’s Health on Track. iii University of SA, CRCLCL 2018. The creation of socially and environmentally sustainable communities through child and youth friendly places. iv Booth V, 2013. Trends in physical activity among South Australian school children from 1985-2013.
v Garrard J, 2009. Active transport: children and young people. An overview of recent evidence.